“I am very pleased to take on this responsibility and the tough challenge of curating the Russian Pavilion at the forthcoming Venice Biennale. The fact that Russia will be represented by the artist Vadim Zakharov means much to me. I am greatly honoured that Vadim Zakharov proposed me as candidate for the curatorship and that the commissioner, Stella Kesaeva, supported the idea, enabling the continuation of my long cooperation with Vadim, which dates from the 1990s. I greatly admire the contribution, which Vadim Zakharov has made to contemporary art. His work has a continuity of development and is marked by a unique outlook and independence of artistic thought. His constant role as thinker and protagonist of the Moscow Conceptualist movement from the end of the 1970s remains a hallmark of his work right up to the present. Udo Kittelmann was born in 1958 in Düsseldorf, Germany. 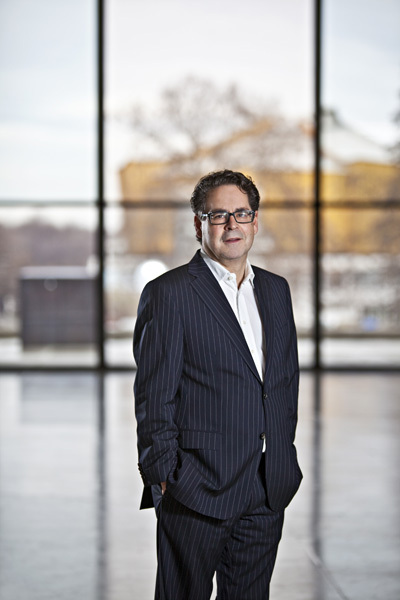 Since fall 2008, he has been the Director of the Nationalgalerie, Staatliche Museen zu Berlin (State Museums in Berlin). In this position he is responsible for the Alte Nationalgalerie (Old National Gallery), Neue Nationalgalerie (New National Gallery) and the Hamburger Bahnhof, Museum für Gegenwart - Berlin (Museum for Contemporary Art), as well as the Berggruen Museum, the Sammlung Scharf - Gerstenberg (Scharf-Gerstenberg Collection) and the Friedrichswerdersche Kirche. Udo Kittelmann worked as a freelance curator from 1987 to 1993, organizing more then 100 exhibitions of contemporary art during that time. From 1994 to 2001 he was the director of the Kölnischer Kunstverein (Cologne). In 2001, he was the commissioner of the German Pavilion at the Venice Biennale, where the Totes Haus u r project by Gregor Schneider won the Golden Lion award for best national pavilion. Between 2002 and 2008, Udo Kittelmann was the director of the MMK, Museum für Moderne Kunst (Modern Art Museum) in Frankfurt. Stella Kesaeva is the President of Stella Art Foundation, which was set up as a non-profit organization in 2003. The mission of the Foundation is cultural exchange, support for Russian art and for young artists and the creation of a museum of contemporary art in Moscow. Stella Kesaeva was appointed as commissioner of the Russian Pavilion at the Venice Biennale in 2011, 2013 and 2015 by decree of the Russian Ministry of Culture.